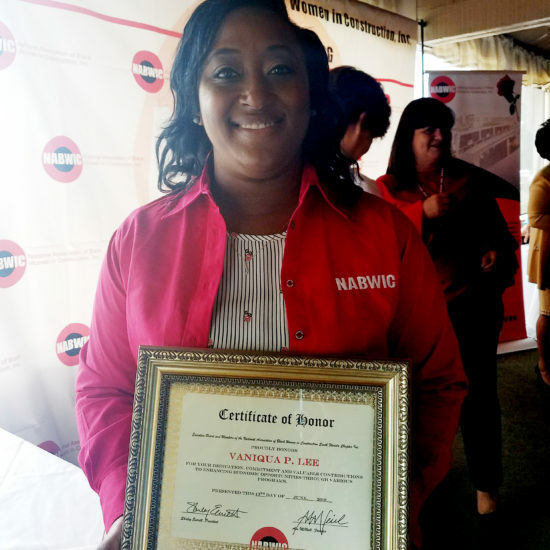 Congratulations to Vaniqua Lee of our Florida office on being recognized by the South Florida Chapter of the National Association of Black Women in Construction (NABWIC) as Woman of the Month for June 2018! The NABWIC was founded to increase the national awareness of African American women in the construction industry. The award is given to recognize the recipient’s dedication, commitment, and valuable contributions to enhancing economic opportunities through various programs. We salute Vaniqua on this well-deserved honor!